The “Profiler” versions of their Power Puck II and UviCure Plus II function as a standard Power Puck II or UviCure Plus II instrument while adding the ability to transfer the collected data and irradiance profile to a computer via a USB connector. 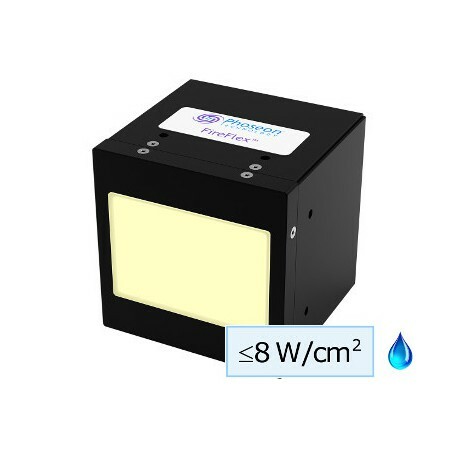 The transferred data can be analyzed with EIT’s PowerView Software® II which allows the user to easily compare files to look at the conditions, lamp focus and lamp type. 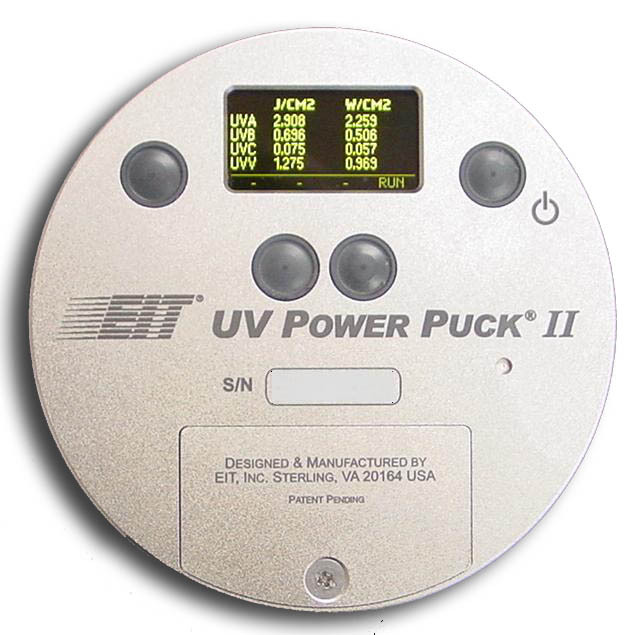 PowerView Software® II adds several new features including the ability to analyze a single UV band and data from four individual files in graph and data format, easily transfer screen shots for reports and the ability for users to add file information via a custom template. 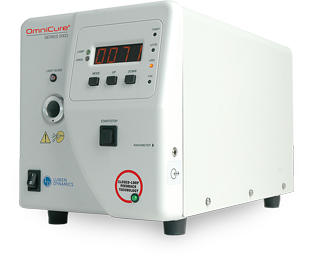 The RX StarFire MAX is a water cooled high intensity UV curing lamp with configurable emitting lengths of 75mm, 150mm & 300mm with an emitting width of 20mm. 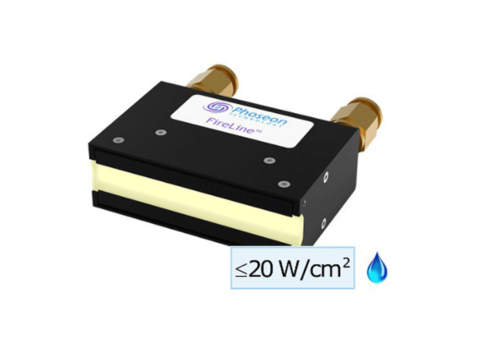 RX FirePower is a water cooled curing lamp specifically designed to address the needs of UV-LED curing in the printing press market where total UV power delivered is a key parameter based on high speed printing requirements. 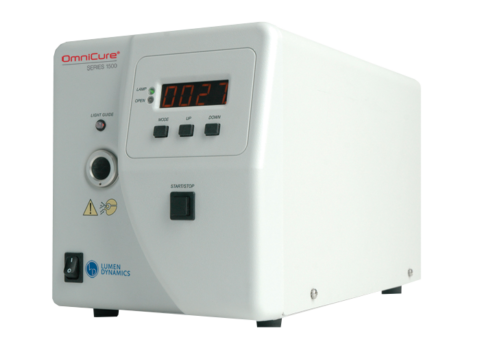 The FireLine is a scalable water cooled UV LED curing lamp with uses in a wide variety of web/conveyor based UV curing applications. 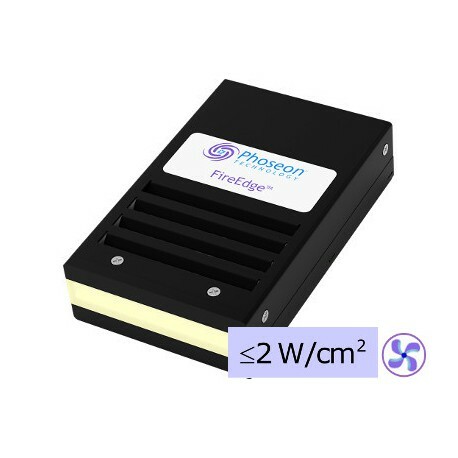 The FireLine architecture is designed to allow the systems to be scalable up to 2m in length. 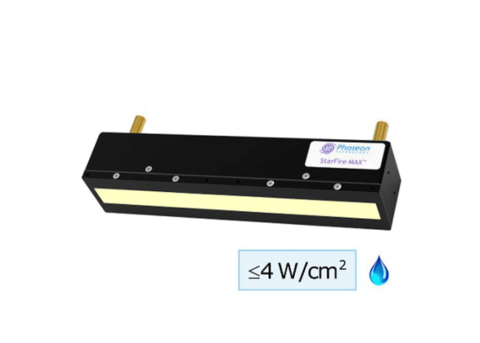 The RX FireJet is a high capability air cooled UV-LED curing lamp aimed primarily at UV Inkjet wide format systems and is capable of curing at the highest speeds for small, medium and grand format digital printing systems. 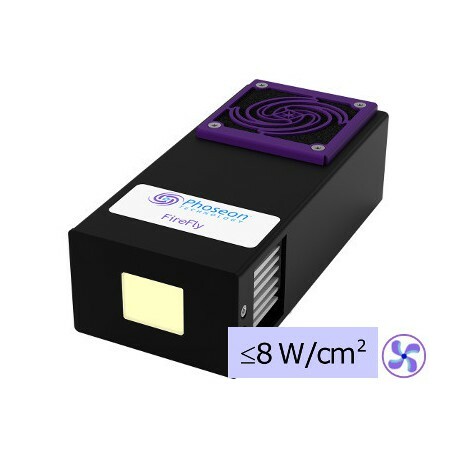 The Phoseon FireFly is an air cooled small form factor UV LED curing lamp with peak intesities from 1.5 up to 8W/cm2. 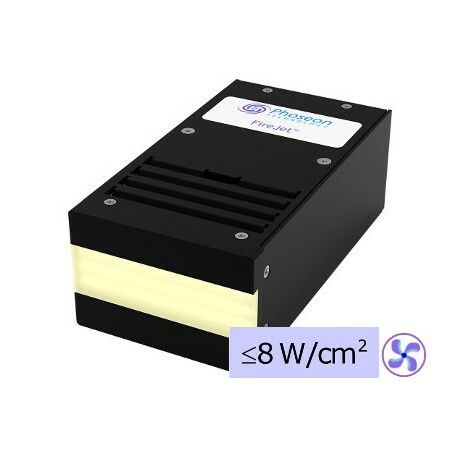 The RX FireFlex is designed as a scalable « high power » water cooled UV-LED curing lamp aimed primarily at high performance/high speed single pass UV inkjet applications but with utility in a wide variety of web/conveyor based UV curing applications. 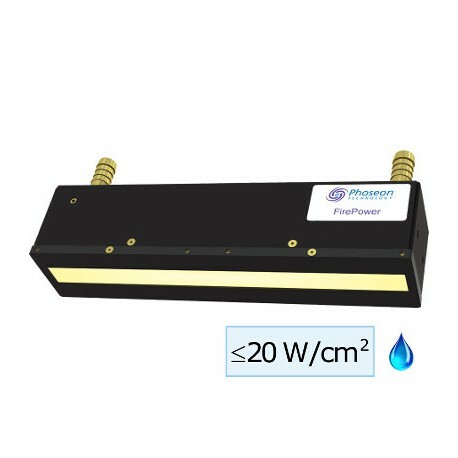 Phoseon products are offered in two main cooling configurations.